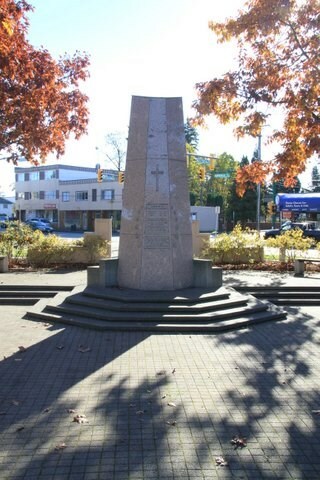 The South Burnaby Cenotaph is located in Bonsor Park at the corner of Nelson Avenue and Imperial Street. The cenotaph commemorates those lost in the First World War, Second World War and the Korean War. The property (Bonsor Park) is comprised of a single municipally-owned property located at 6749 Nelson Avenue. This portion of the interview is mainly about the start of the Lewarne family ice cream business in the Depression and its history under three generations of the family. He also remembers the hard times of the Depression, the schools he attended in South Burnaby, and Mr. Seller’s shetland ponies. Recording is of an interview with former Mayor William “Bill” Lewarne, conducted by Rod Fowler. Bill Lewarne was one of eleven participants interviewed as part of the SFU/Burnaby Centennial Committee's oral history series titled, "Voices of Burnaby". The interview is mainly about Bill Lewarne’s business and political careers, and memories of growing up in South Burnaby in the 1930s. Bill Lewarne talks about his parent’s origins, his family and community struggles during the Depression, the interurban, his education, war service, and joining his father's business. He describes the start, operation and expansion of the family ice cream business, and how business life compared to political life. The interview explores the role of politics in community affairs, his political activities, the history of the BVA, and his involvement in various community organizations. To view “Narrow By” terms for each track, expand this description and see “Notes”. William Alfred “Bill” Lewarne was born in Burnaby in 1926 to Ethel Cecilia Leer (1899- ) and Alfred Lewarne (1893-1962). 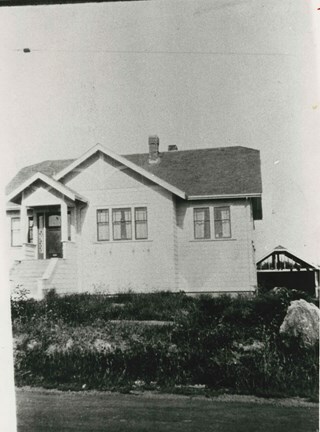 The family, Ethel, Alfred and their three children Patricia, Beverley and William, moved to a house on Nelson Avenue in Alta Vista in 1931. Ethel still lived in the family home in 1990. 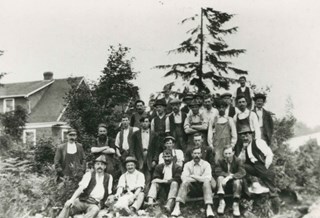 Bill Lewarne attended Nelson Avenue School and South Burnaby High School (1932-1944). 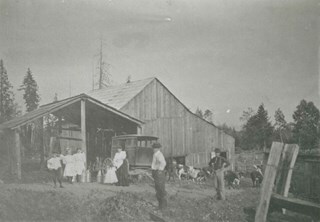 His father Alfred worked at Colony Farms as a dairy inspector and then for the Port of Vancouver Dairy before being laid off early in the Depression. The family struggled until in 1936 Alfred started his own ice cream business. After graduation Bill was in the army for two years, taking a refrigeration course under the veteran’s training benefit, before joining his father’s business. Three generations of the family operated the successful company, expanding from wholesale, retail and distribution of ice cream products into refrigerated warehouses and the wholesale ice business, until the business was sold to its competitor Dairyland in 1989. 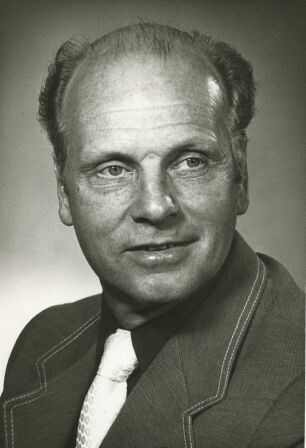 Bill Lewarne entered politics in 1965, first with the Nonpartisan Association (NPA) and then as a founder of the Burnaby Citizens Association (BCA). He served as an alderman on Burnaby Council 1973-1975 and 1977-1981 and as Mayor 1981-1987. In 1979 he ran for provincial office for the Social Credit Party against Rosemary Brown but lost. Bill Lewarne married June Lawrence and they had three children Robert, Leslie and Janice. He was active in many organizations: Burnaby/Willingdon Liberal Association, Seton Villa, Irish Fusileers of Canada, Lions Club, Rotary Club, Burnaby Association for Community Inclusion, and the Burnaby Hospital Foundation, and continued to be active on the Board of the BCA. Bill Lewarne died in 1995. Rod Fowler returned to university as a mature student in the 1980s after working about twenty years in the field of economics and business computerization in England, Europe and Western Canada. He graduated with a BA from SFU in both History and Sociology in 1987, his MA degree in Geography in 1989, and his PhD in Cultural Geography at SFU. He taught courses in Geography, Sociology, History and Canadian Studies at several Lower Mainland colleges, before becoming a full time member of the Geography Department at Kwantlen University College. 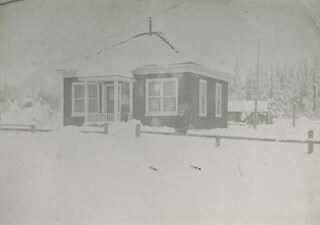 Photograph of the house of the Gough family, Nelson Avenue after a snowfall. 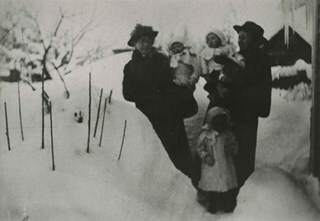 Photograph of two women and three children of the Gough family outside a house in the snow. Photograph of Nelson Avenue looking north. 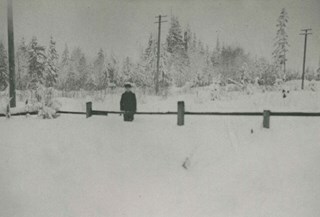 A person is standing beside a fence in the snow. 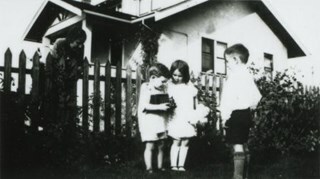 Photograph the Gardener family home on Nelson Avenue with three children standing outside of it. 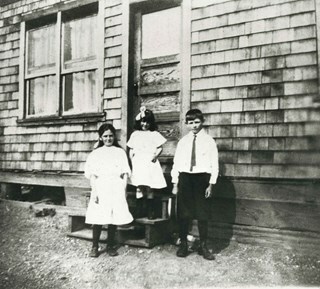 Children, left to right: Bob Ellis, Ruth Gardener, and an unidentified boy. 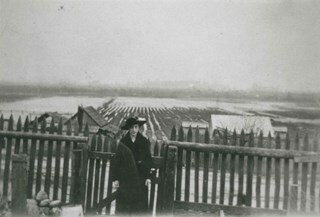 Ruth Gardener is leaning on the fence at the left. 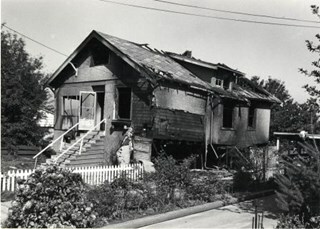 Photograph shows a burned out house on Nelson Avenue near Maitland Street. 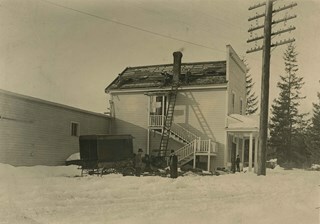 A basement fire destroyed the house a few days before the photograph was taken. 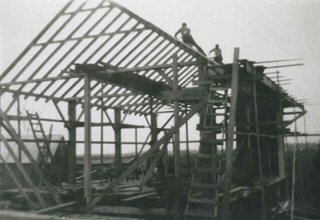 Photograph of the MacKenzie family's two-storey house and shed (to the side of the house). There is a woman sitting on the porch with a child by her side. The lot around the house appears vacant, but there are foot paths on the fields. According to a note in the accession file, the location is identified as one block from Kingsway on Nelson Avenue. 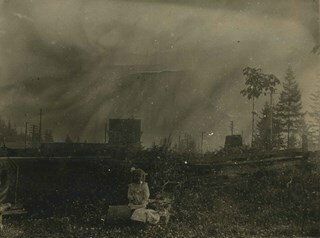 1 photograph : sepia ; 7.5 x 10 cm + 1 p.
Photograph of Fern Brown (nee Ablitt) sitting on the grass of her parent's property at the northeast corner of Kingsway and Nelson Avenue. She has a doll in a baby carriage with her and ribbons in her hair. 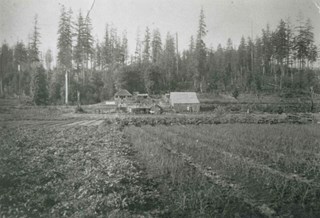 The Hutton grocery store can be seen in the distance. 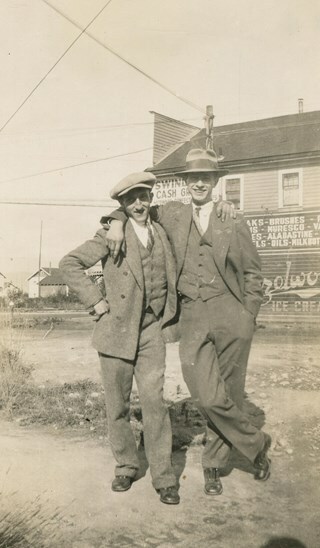 Photograph of two men standing casually with their arms across each other's shoulders, smiling. 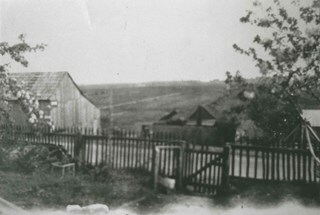 The A. MacKenzie & Co. Jubilee Store at Kingsway and Nelson is visible in the background. 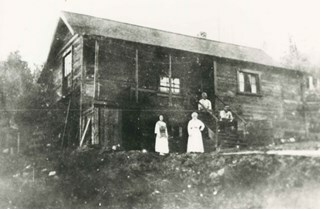 Photograph of the Gough family children in front of their Nelson Avenue home. Left to right: Dorothy Gough Love, Phyllis Gough and Donald Gough. The address on Nelson Avenue was later changed from 2119 to 7126. 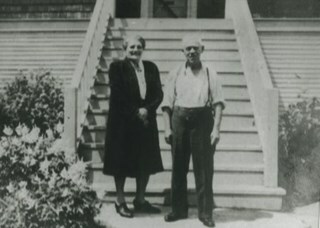 Photograph of Edith and Jack Sutherland at 3636 Nelson Avenue (later 5607 Nelson Avenue). 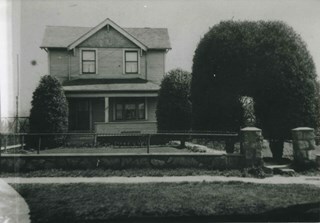 Photograph of the Bickerton family home at 2125 Nelson Avenue (later renumberd 7082 Nelson Avenue) near Victory Street, built in 1905 In front of the home are Edgar and Jane Bickerton, and three of their children: Edward, Nancy and Patricia. 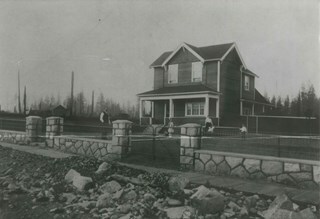 Photograph of the Bickerton family home at 2125 Nelson Avenue (later renumbered 7082 Nelson Avenue) near Victory Street, built in 1905. 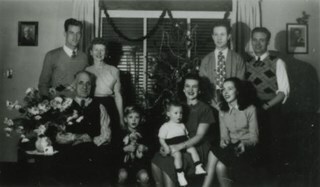 Photograph of the Ellis family, Christmas 1941. The photo was taken in the Ellis house at 6926 Nelson Avenue. Left to right: James Ellis, Annie King-Ellis, Sarah Ellis, Bob Ellis, Harry Ellis, and Jim Ellis. The baby is Bobby Ellis. Photograph of the Ellis family, Christmas 1942. The photo was taken in the Ellis house at 6926 Nelson Avenue. 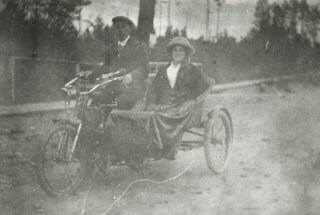 Standing, left to right: Harry Ellis, Annie Ellis, and Bobby Ellis. 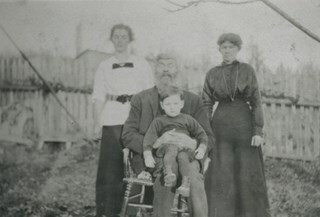 Seated, left to right: Sarah Ellis, Grandpa Ellis, Bob Ellis, Mrs. and Mr. Ellis, and Bobby Ellis. Photograph of the Ellis family, Christmas 1943. The photo was taken in the Ellis house at 6926 Nelson Avenue. Left to right: Bobby Ellis, Mrs. and Mr. Ellis, Jim Ellis, Annie Ellis, Harry Ellis, and Bob Ellis. 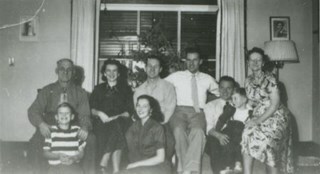 Photograph of the Ellis family, Christmas 1944. The photo was taken in the Ellis house at 6926 Nelson Avenue. Left to right: Mrs. and Mr. Ellis, Bobby Ellis, Harry Ellis, Annie Ellis, and Jim Ellis (home on leave, in uniform). 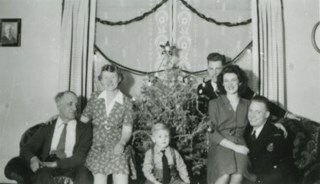 Photograph of the Ellis family, Christmas 1945. The photo was taken in the Ellis house at 6926 Nelson Avenue. Left to right: Dave Gray, Annie Ellis, Don Gray, Mr. and Mrs. Ellis, Bobby Ellis, and Bob Ellis. Photograph of the Ellis family, Christmas 1946. The photo was taken in the Ellis house at 6926 Nelson Avenue. Left to right: Jim Ellis, Audrey Ellis, Sarah Ellis, David Ellis, Bobby Ellis, Mr. Ellis, Annie Ellis, and Bob Ellis. 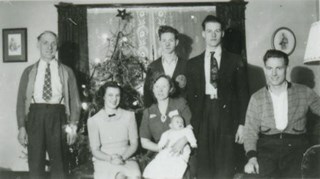 Photograph of the Ellis family, Christmas 1947. The photo was taken in the Ellis house at 6926 Nelson Avenue. Left to right: Harry Ellis, Mr. and Mrs. Ellis, Bobby Ellis, David Ellis, Annie Ellis, Bob Ellis, Audrey Ellis, and Jim Ellis. 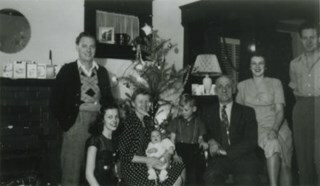 Photograph of the Ellis family, Christmas 1951. The photo was taken in the Ellis house at 6926 Nelson Avenue. Left to right: Mr. Ellis, Bobby Ellis, Annie Ellis, Audrey Ellis, Bob Ellis, Harry Ellis, Jim Ellis, David Ellis, and Sarah Ellis. 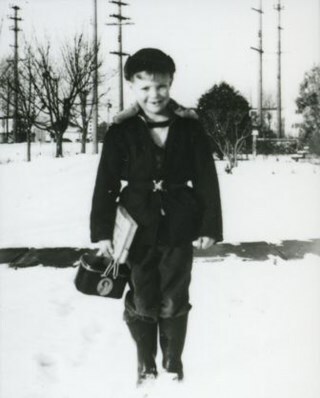 Photograph of David Ellis, leaving for school, in front of 6926 Nelson Avenue, the home of James and Sarah Ellis, his grandparents. 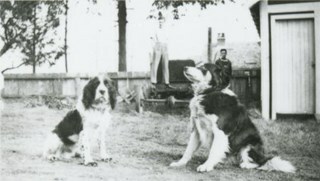 Photograph of Bob Ellis, with a friend and the family dogs, at the back of 6926 Nelson Avenue. 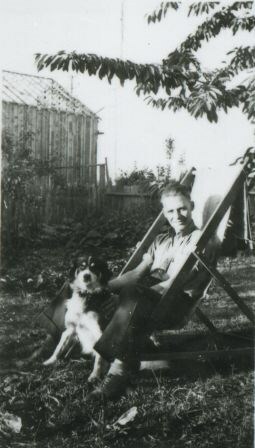 Photograph of Jim Ellis, with his dog, Bill, seated at the back of the Ellis home at 6926 Nelson Avenue. There is construction occurring in the background. 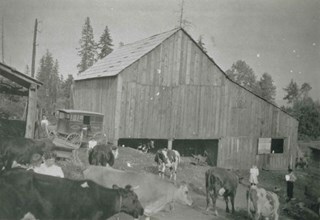 The photograph was taken during the summer of 1938. 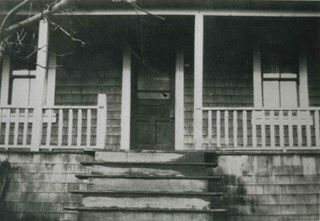 Photograph of Jim Ellis, Bobby Ellis and Bob Smith at the front of the Ellis home on Nelson Avenue. 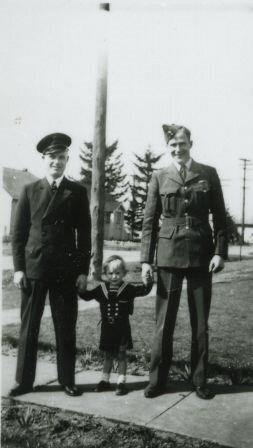 The men are in uniform and the boy in the middle (Bobby) is wearing a sailor's suit. 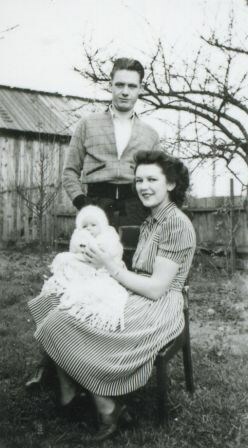 Photograph of parents Jim and Annie Ellis and baby Bobby at the back of the Ellis family home at 6926 Nelson Avenue. Photograph of a children's birthday party at the Ellis home at 6926 Nelson Avenue. The photograph was taken looking down Nelson Avenue. 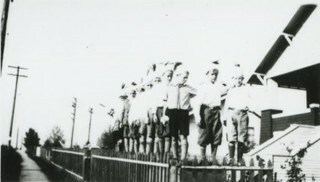 The children are wearing party hats and standing on a fence. 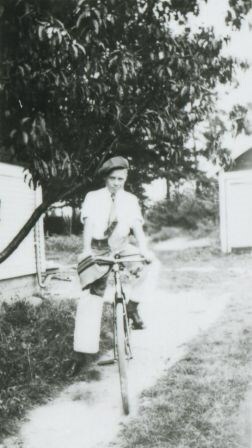 Photograph of Jim Ellis, on a bicycle, at the side of 6926 Nelson Avenue. 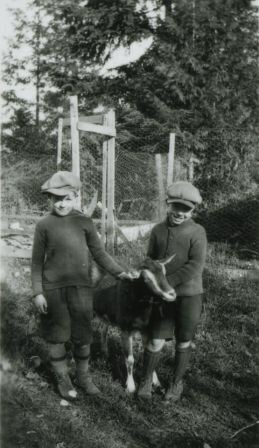 Photograph of Harry Winters and Jim Ellis with the Ellis family goat, at the back of the Ellis home at 6926 Nelson Avenue. 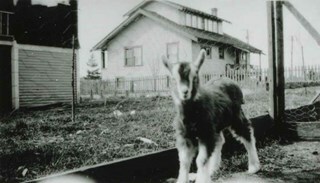 Photograph of a a young goat (a kid) at the back of the Ellis home at 6926 Nelson Avenue. Neighbours' houses are visible in the background. 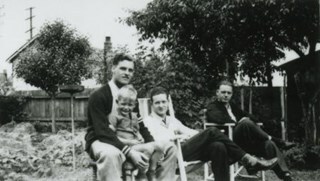 Photogaph of (left to right): Harry Ellis, Bobby Ellis (boy), Bob Ellis, and Jim Ellis, seated at the back of the Ellis home at 2313 Nelson Avenue (later renumbered 6926 Nelson Avenue). 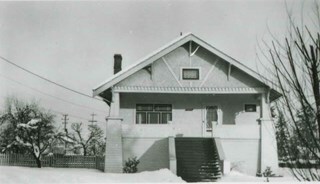 Photograph of the Ellis family home at 2313 Nelson Avenue (later renumbered 6926 Nelson Avenue) in the the snow. 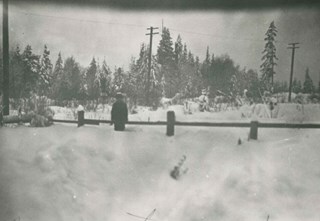 This photograph was taken during the winter of 1948 to 1949.